Wait...you can eat bee pollen?? 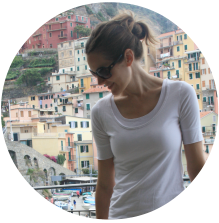 So when I saw the beekeeper selling honey at the farmers market the next morning, I was filled with questions. How is the pollen collected? Does it hurt the bees? How long does it stay fresh? How much is it? Our resident beekeeper was filled with helpful answers, which I'm happy to pass along - together with more research I've been doing on the topic. In the end I bought a small tub of the pollen, with a freshly-opened mind and lots of new answers. Guess what - I'm a fan! Let's start with the flavor - it tastes like the halfway point between honey and a floral perfume. A sweet, light honey flavor with smooth floral undertones. Which makes perfect sense...because it is pretty much the halfway point between the flower and honey. How is it collected? Does it hurt the bees? I was imagining some sort of tweezer collection system that would be terribly uncomfortable for the bees. But bee pollen is actually collected in a very simple way. The keeper I spoke with uses a small metal mesh at the entrance of the hive, sort of like a doormat. When the bees enter the hive, their "thighs" full of freshly-collected pollen, they walk across the mesh and a little bit of the pollen drops through the mesh into a collection chamber. A little like when I stomp the mud off my shoes before coming into the house from the garden. In a responsibly managed hive, the collection should not affect the production of honey or make the bees 'hungry' like I had originally imagined. How do I use bee pollen, and is it nutritious? 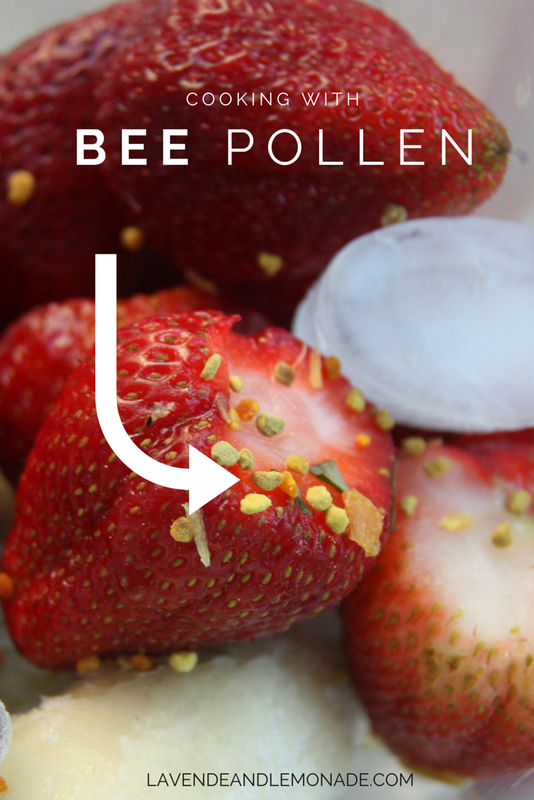 The pollen should be refrigerated to stay freshest, and will stay potent for about 6 months from its harvest. After that, it will still taste good but will loose some of the vitamin power. The pollen is supposed to be most nutritious when it has dissolved into a liquid - like when its stirred into yogurt or a smoothie. One thing that is important to take note of - some people have an allergic reaction to the pollen and the first try should be just a few granules. To be on the safe side, pregnant and nursing women should also take a break from it. Gradually increase the "dose" a little bit every day until your body is used to it. I noticed a slightly scratchy throat, a little like the first day of hayfever season, the first two times I tried it but now its smooth sailing! As for nutrition, bee pollen is one of the world's natural superfoods and contains almost 100 naturally occurring nutrients. That's a lot! People have been using it for thousands of years, and have all sorts of ideas of what it can heal and solve. Curing infertility, helping reduce the side effects of chemotherapy, and improve allergies and hayfever symptoms all caught my attention. Why not...! Bee pollen is now a common ingredient in our house, and gets sprinkled onto or yogurt parfaits and dosed into our smoothies. Skeptic to convert in less than 24 hours! For the curious: I paid about $10 for a small tub of pollen at the farmers market, and it will easily last our family 6 months. 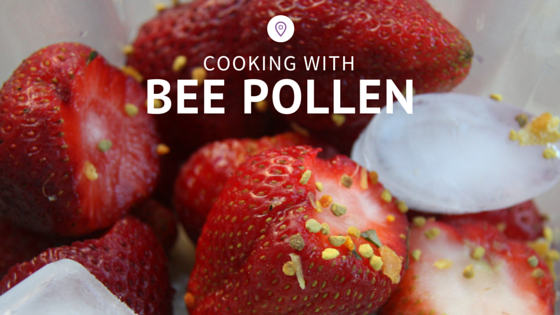 Have you tried Bee Pollen? How do you use it?